Well, AFFIX-System is one of the most innovative modern bicycle brands and is mainly a source of ideas and resulting patents. Rather than creating defined products, it's more about providing a concept or an improvement to be customized in many different ways. Or revolutionizing an old concept to a completely new level. Over the years, several great innovations have seen the light of day and are used in many different kinds of products. As seen in the pictures above and below, the seat/seatpost-combo and the stem both use an idea provided by AFFIX-System and are unique in their very own way. The stem clamp allows a lightweight construction without sharp edges while looking clean at the same time. 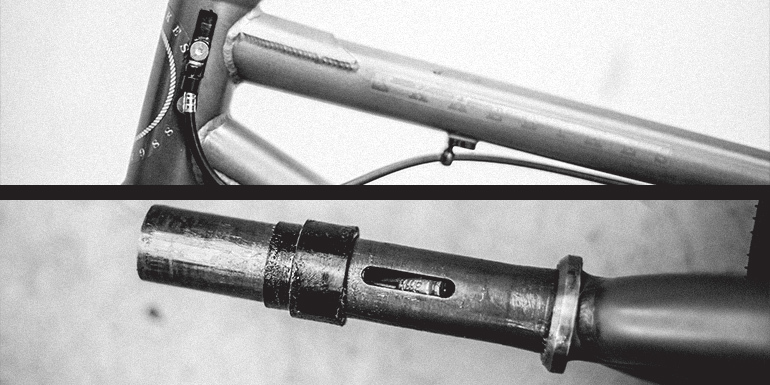 The seat/seatpost-combo is even a step further apart from modifying. The aluminium of the post is drilled in certain areas, so the plastic flows trough these while molding, resulting in a very strong bond while also being really lightweight. BMX has been evolved and revolutionized several times over the past decades. And now, it was time to take things one step further again. 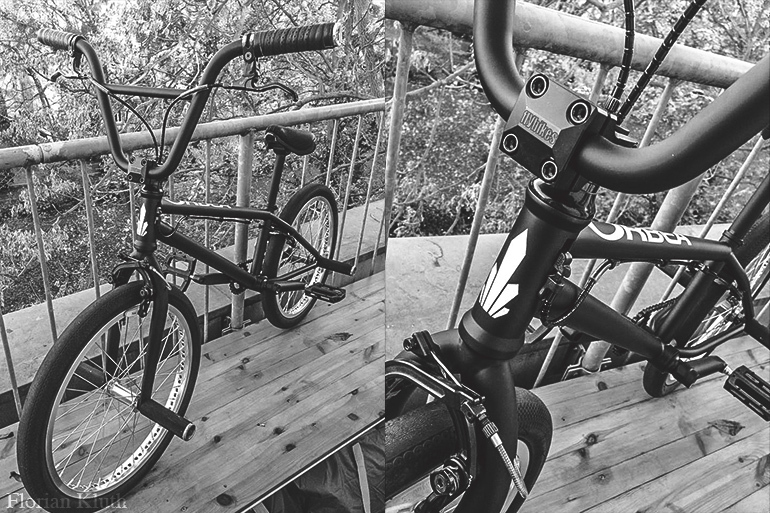 The basic mechanism of a BMX brake used to be one of the following two: A traditional long cable or a rotor. A cable limits you to a certain amount of bar rotations with increasing friction, and a rotor is a complicated and large set of cables and screws from top to bottom. Our goal was to take the best of both and merge them into one: A sliq design, no increase in friction or a limit in bar movements, yet simple to maintain and easy to install. We are very proud to say that we created exactly that. We call it "The AFFIX Rotor". As showcased in the video above, we went fully internal. No split or dual cables anda reduction to a total of just three screws while keeping all the advantages of both, the cable and the traditional rotor. Instead of splitting the cable into two and merging them together again, we chose the straight way trough the steering tube. We noticed there is enough space inbetween the fork shaft and the steering tube, allowing two small shims to rotate without any outer or inner friction. 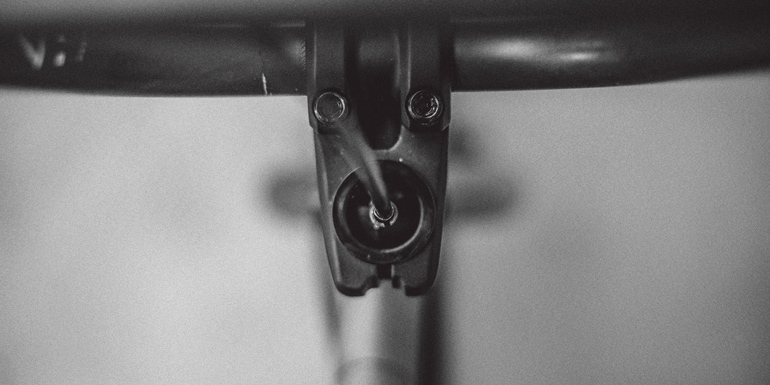 Starting from the brake lever, the upper cable goes straight into the steering tube and has a bridge on its end to hold and lock the lower part of the rotor. On top of that is the upper part of the rotor, which is connected to the lower cable of the system ending at the rear brakes. Due to the small amounts of force on both, the fork shaft and the steering tube, it is possible to cut vertical slots allowing the clean cable guide. Even though there is the need of a slotted frame and fork, we've already received pictures from a home-made version of the system. Florian Kluth has cut the slots solely on his own and the result looks truly brilliant. It's also showcasing how easy it is to use the AFFIX Rotor with an additional front brake. 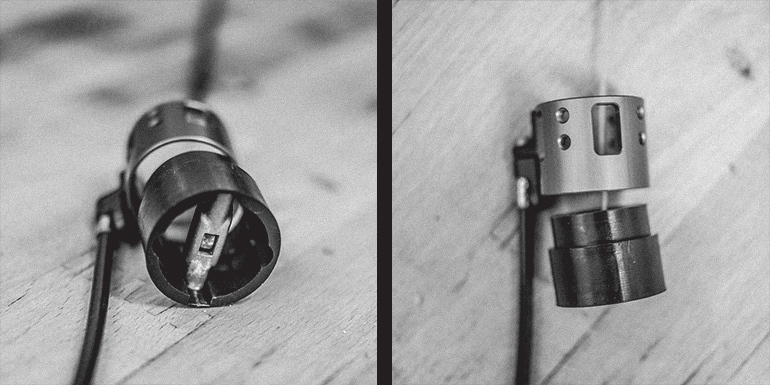 Our improved topcap offers enough space to fit another cable trough it, so there is no need for modifiations. As we released the system a few months back, some pro riders wondered if the system is even usable for someone travelling on a regular basis. We take those questions very serious and set up a test, where the AFFIX Rotor competes with a traditional rotor. The result is very pleasing: Even though the topcap is un-cut and really long, there is even a small lead in the end. You want to travel? Take the AFFIX Rotor and shred the world! Currently there are two versions available: The highly durable plastic version and the special coated CNC'd Aluminium Pro model. 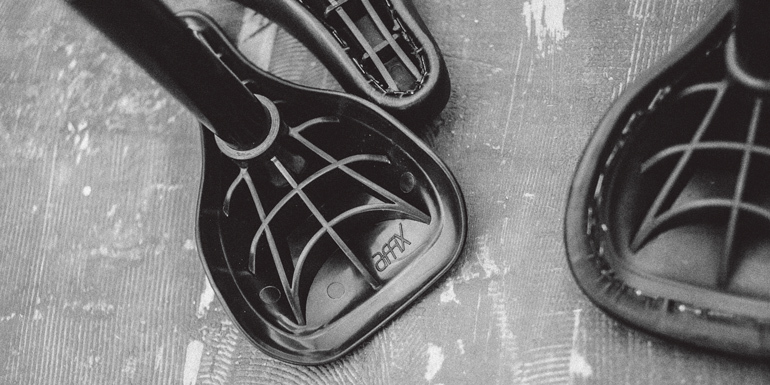 Both, the upper and the lower cables are available in different length and clour options to match any bike out there. 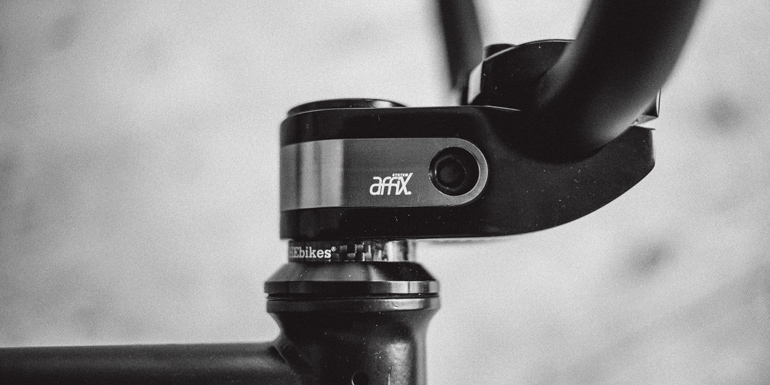 The Affix Rotor was introduced to the market with the release of the KHEbikes 2014 bike lineup, but can be used by any company out there. Feel free to contact (tg@KHEbikes.de) if you're interested. Still not enough? Check this feature on themerged for a behind-the-scenes-interview and the first video ever realeased. After the initial release of the system in 2014, we're very proud to say that it has been a great success so far. And alongside the release of our official KHE BIKES SHOP, it's now easier than ever to get it! 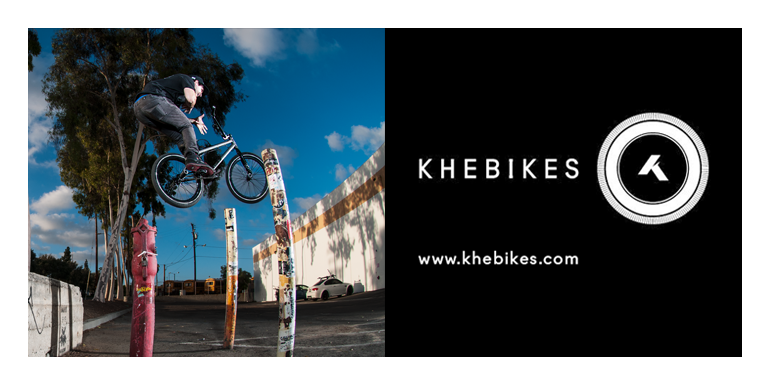 If you want to have some great deals on the premium KHEbikes BMX line as well as the brand new PRISM BMX bikes, visit our BMX SHOP! If you already have a bike with the AFFIX Rotor, check our Youtube-Channel for Maintenance-How-To's!